It used to be that all you had to attract people to your hotel was build a pool. As tourists evolved, the pool was considered a must. Thus the indoor pool became a standard of luxury. 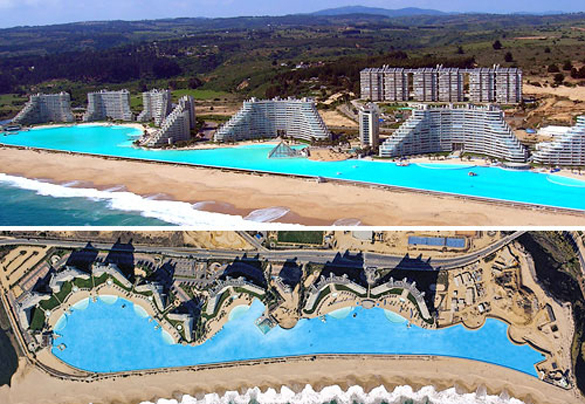 Today, both of those types of pools are anything but impressive. It is this reason that many hotels are spending thousands, if not millions, on their pools in hopes of attracting customers. 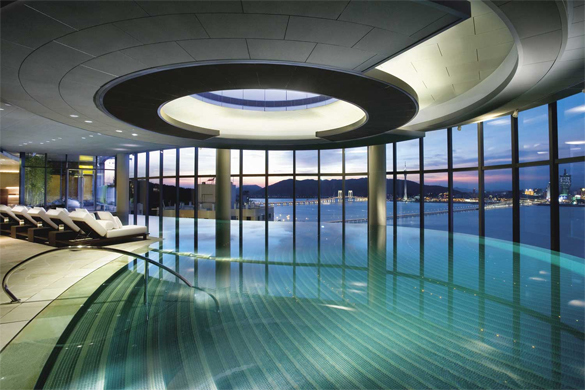 Check out some of these luxury hotel pools to see what we are talking about. 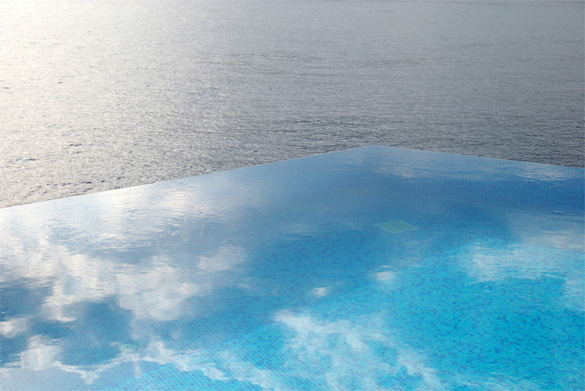 This is a cool infinity pool that looks out over a breathtaking skyline from several stories up. This is definitely a great place to enjoy the sunset in Taipa Island. 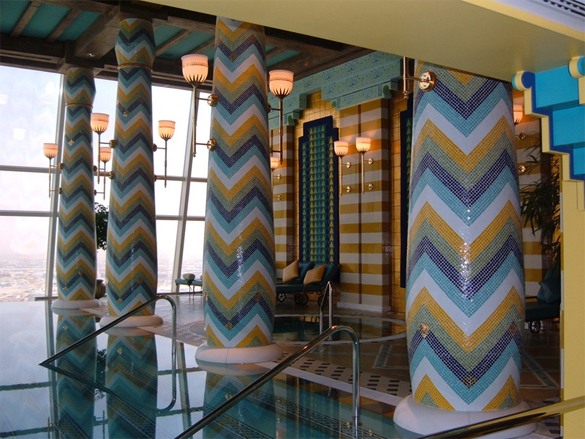 Leave it to the hotel designer in Dubai to create a pool of this magnitude. It’s just too bad you probably have to own a helicopter to be able to comfortably afford to swim here. While the pool might not seem too cool at first glance, notice the salt-water aquarium complete with sharks that is flush with the pool. There is also a clear tube slide that goes through the aquarium and into the pool. Ok, technically this isn't a pool in the typical sense of a hotel pool. But, it is a warm body of water that you have to pay a pretty penny to get into. Therefore it falls into the category of a luxury hotel pool. 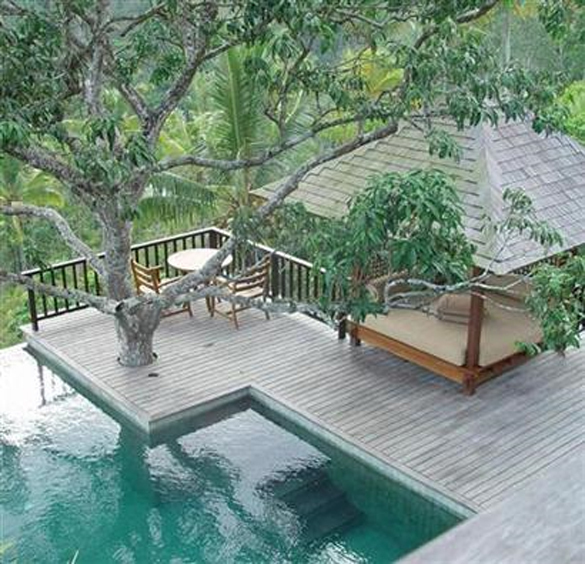 This small villa style hotels pool might not be big, but it has a million-dollar view. Combine that with the fact that at any given time you will probably be the only person in the pool and you get one luxurious little swim. 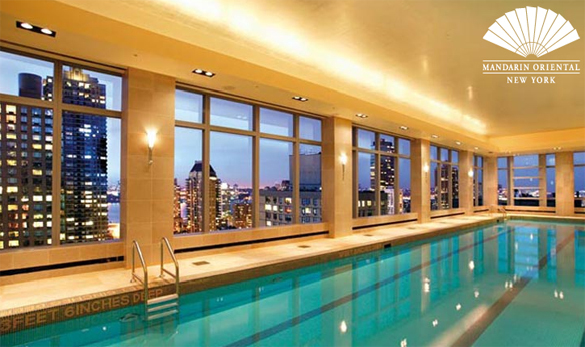 At the Mandarin Oriental hotel, you can enjoy the famous New York skyline while lounging in the pool any time of the year. The pool at the San Alfonso del Mar is a mini ocean in and of its self. This pool is easily large enough to enjoy water sport activities like paddling and sailing, and it’s by far the largest freshwater pool in the world. 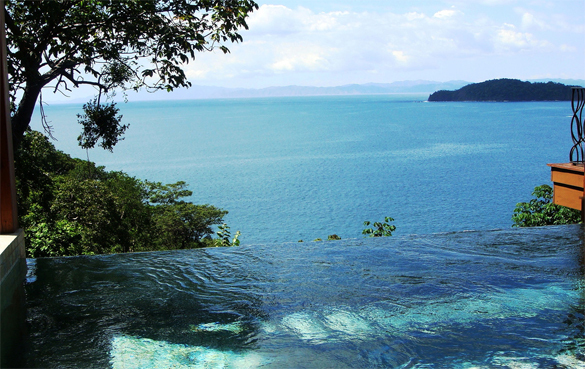 There is no better way to appreciate the coast of Costa Rica than from this infinity pool at the Four Seasons Hotel. 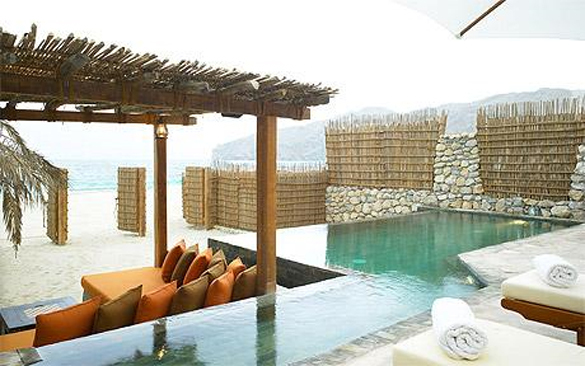 This small infinity pool might not look like much at first, but when you take into account that the pool comes with your own private section of beach, cabana, pool, and more; it gets pretty luxurious. 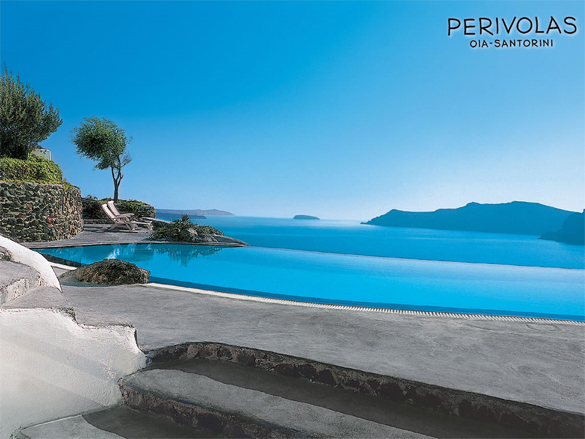 The infinity pool at the Perivolas Luxury Hotel may be one of the most famous hotel pools. 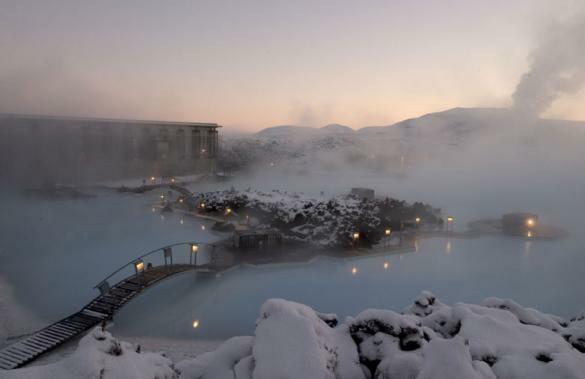 It has one of the best views from any hotel pool and has been featured on a large number of travel magazine covers. 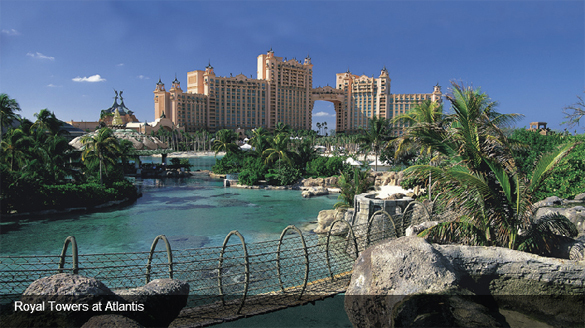 The sheer size of the pool at the Atlantis Resort is enough to get it on the list. But the pool features a number a slides, waterfalls, grottoes, and more. The infinity pool at the Villa Mahal made our list because it is a simple infinity style pool that does what infinity pools were made to do; give you the illusion of a pool that drops into the sky.